Place all clothing from your trip, the clothing next to that clothing, and any linens where you unpacked into a 2-ply bag and seal the bag. Take the bag(s) directly to the washing machine, and empty them directly into the washer. Wash the belongings on the hottest temperature that the fabrics will allow. Most importantly, dry your belongings on the highest heat possible for at least 15 minutes. Bed bugs die between 117° and 122° Fahrenheit. Vacuum the empty luggage, both inside and out to remove bed bugs. Dispose of the vacuum bag or canister cotents into an OUTSIDE trash can. Scrub your luggage with hot soapy water, the hottest possible, and a good scrub brush. The brush will help dislodge any eggs or nymphs clinging to the seams and zippers. For further precautions, and to rid the luggage of tiny nymphs or eggs that can attach themselves, you can soak a cotton swab in alcohol and rub the swab over the areas where the vacuum could not reach. Place the luggage into a large lawn/leaf plastic bag and seal the bag. Store the luggage in the garage, the basement or the attic. Presumably, the exposure of bed bugs to the home is minimal, considering they were discovered in the luggage you were using, and you just returned from a trip. At this point, you may not notice the one or two “escapees” when doing your own inspection for bed bugs in your home. For this reason, we highly suggest you contact a pest control professional for an inspection. We also strongly suggest the use of trained bed bug K-9 for detection. Based on the inspection results, extermination may be required. Both the EPA and NPMA give some good suggestions and guidelines for getting rid of bed bugs, but even they admit that getting a pest management professional (PMP) involved as soon as possible can help prevent the infestation from spreading. Our own team strongly suggests contacting a pest management professional for bed bug treatment. Even in that, there are many pest management companies and many bed bug treatments to consider, including both chemical treatment and heat treatment. We are big advocates for heat treatment, which will both kill bed bugs and is also environmentally responsible (no pesticides or chemicals). Work with your chosen pest management professional to determine the best approach for your situation. Prior to making your reservation, ask your hotel or motel if they are a member of KnowBedBugs.com. Avoid misleading information on sites such as the bedbug registry. You can use our 10-Point Bed Bug Hotel Checklist, to help you avoid bed bugs as you travel. 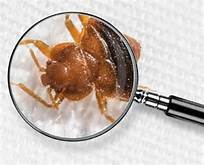 If you do find evidence of a bed bug problem during your inspection, notify the front desk immediately. They will be grateful you did! At KnowBedBugs.com we train hotel staff on the detection, prevention and treatment of bed bugs. We also set guidelines for professional guest relations should an event occur. After training, each employee is tested. The hotel is awarded a certification based on the percentage of full-time staff that has trained and passed the testing. Our certifications range from Bronze to Platinum. We are working with hotels to get out in front of the issue, and understand that it takes cooperation between the hotels and their guests. We Have A Plan!